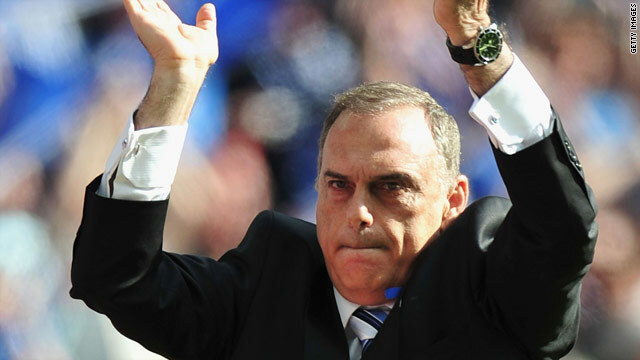 Avram Grant leaves Portsmouth as a fans' hero after taking the club to the FA Cup final. (CNN) -- Avram Grant has resigned as manager of relegated English Premier League side Portsmouth, less than a week after leading the club to the FA Cup final. The Israeli -- who is now expected to take over at West Ham following Gianfranco Zola's recent dismissal -- became a cult figure at Portsmouth and was reverred by the fans, despite failing to keep the club in the Premier League after their nine-point deduction for going into administration. However, against all the odds, Grant managed to take the side to Saturday's Wembley final -- where they narrowly lost 1-0 to champions Chelsea. In an emotional open letter on the official Portsmouth Web site, Grant paid tribute to the club's supporters. "This was one of the most difficult decisions I've had to take in my football career. After a lot of soul searching and under the circumstances I'm taking a different direction," Grant said. "It's been both a difficult and complex year for us at the club but, at the same time, it's been a wonderful and uplifting professional and personal experience. "I have been inundated with letters and emails from fans. Many have brought tears to my eyes and take it from me; it takes a lot to do that. I will never forget you, the loyal fans who, without a doubt, helped me protect the team under such complex circumstances. I have been inundated with letters and emails from fans. Many have brought tears to my eyes and take it from me; it takes a lot to do that. "There are very few teams in the world that have fans as passionate and devoted as you are. Seeing you all so proud with your heads held up high is the best reward I can receive. "It has been a great experience to be part of one of the most wonderful occurrences that has happened in the history of British football and also shows that even in the most desperate times, loyalty, devotion, professionalism and passion can be demonstrated. I wish you all the possible success which you genuinely deserve. "Portsmouth has given me a feeling of home away from home. I might be leaving Portsmouth physically, but you cannot take Portsmouth away from me and my heart." Grant took charge in November and often spoke passionately about how he felt the financially-stricken side were being harshly treated by the Premier League, notably when they becamse the first-ever English top-flight side to fall into administration. Portsmouth's former chief executive Peter Storrie praised Grant, telling Sky TV: "He came to Portsmouth, fell in love with the club and did a magnificent job. "He's very easy going, very laid back, but he's got this ability to inspire players and put his arms around them. He explains the game in detail to them. What he did get was a tremendous team spirit among everybody. "He gave absolutely everything, he gelled all the players together, got them playing as a unit. He couldn't have done anything more." Grant has been the hot favorite to replace Zola at West Ham, after the Italian was dismissed by new club owners David Gold and David Sullivan following a poor season that saw the London club just manage to avoid relegation.